Illinois Vows Revenge But Will It Work? The Hotel Belleville fed baked beans and ham to more than 200 coal miners and operators in Southern Illinois and the audience served up a bellyful of outrage about St. Louis. Coal operators on that Friday in early May 1940 vowed to boycott St. Louis goods in retaliation for the city’s refusal to buy the coal they produced. At this gathering, however, many said they preferred the term “trade reciprocity” to boycott. It meant pretty much the same thing – Southern Illinois residents would buy St. Louis products when St. Louis bought Illinois coal. For months St. Louis officials had been urging its neighbors to the east to cooperate rather than fight the city’s new strict ordinance banning the burning of high sulfur coal. Virtually all of that coal came from Illinois. The reciprocity resolution was one of several passed that night in what reporters described was an often raucous gathering. Instead they likened the St. Louis action to the nation’s ill-fated prohibition of alcohol and speakers talked about how to reclaim the market. Clarence V. Beck, a self-described St. Louis coal man, said there was no evidence that the coal smoke each winter in the city was the cause of rising respiratory illnesses. Richard F. Wood, executive director of the Solid Fuel Institute of St. Louis, which represented coal interests, said the city seemed desperate, it had changed its ordinances on coal three times in the last five years. Another ordinance that was proposed at the meeting called on the city to abolish the new ordinance. Both that proposal and the reciprocity measure were approved. The bean dinner was financed by Bituminous Casualty Safety Council, which represented coal companies. By August the coal companies working with union representatives said that they had organized six towns, which vowed to boycott St. Louis goods. “This time it is not an idle rumor or threat,” said Clarence G. Stiehl, president of the St. Clair-Madison Coal Operators’ Association. The six towns were outside of Belleville, Ill. and they had a combined population of about 10,000. 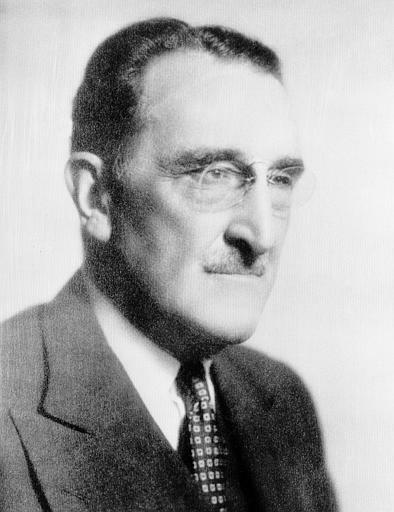 Stiehl said the residents were 100 percent in favor of the boycott, because most were miners who had been organized by the Progressive Miners Union. 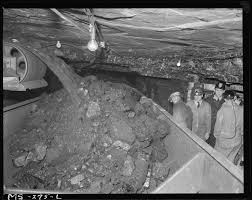 The boycott would intensify when the mines reopened in the early Fall, said Stiehl. He said those backing the ban would be especially motivated if the 80 members of the coal operators association were unable to find buyers for their product. The only other solution for Illinois was to build processing plants to convert the soft, high sulfur coal into smokeless fuels. While the state of Illinois indicated it was willing to make that investment, it could take years for the plants to be completed. But not everyone in Illinois was backing the boycott. The Old Ben Coal Corp. in West Frankfort, Ill. announced during the summer that it had enough low sulfur coal to double its production and delivery to St. Louis. In addition, the company was rushing to complete a plant that would convert higher sulfur coal into smokeless briquette that would also comply with the new St. Louis regulations. In addition, the Illinois Municipal League rejected a boycott referendum and instead authorized it leadership to meet with St. Louis officials. While some Illinois newspapers supported the boycott the majority urged restraint. In mid-August the Post-Dispatch was asking both officials and business people if the boycott was developing. Few were seeing any signs of it. A Marissa, Ill. businessman said he had heard people talk about the boycott but he was not seeing any difference in sales. St. Louis Mayor Bernard Dickmann said any boycott would not deter his city. The story so far: On November 28, 1939, 75 years ago, a thick, black smoke covered St. Louis, turning day into night, snarling traffic and angering and shocking residents. A Smoke Elimination Committee was created and it met through January and into February sorting out its limited options for finagling cleaning the city’s air. Its report in late February proposed that all residents and businesses buy more expensive fuel that caused less pollution. The question now was whether the city government, and then the city’s residents, would comply. Ralph Coghlan liked to get people mad. 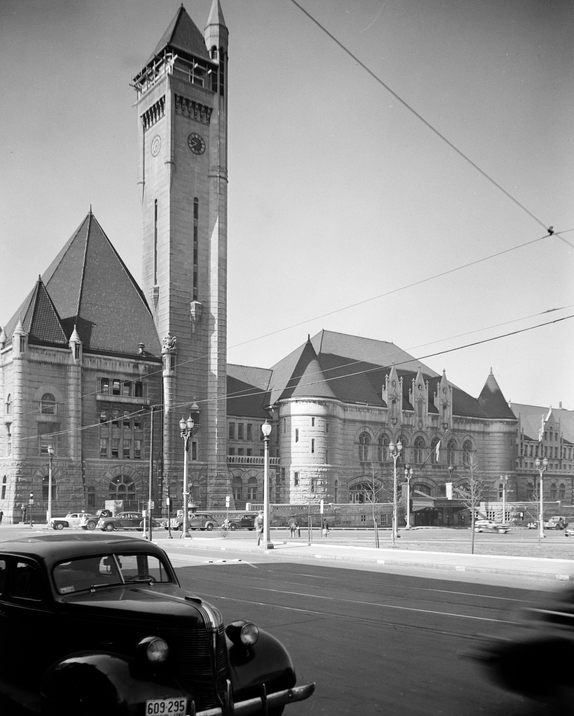 Which made Coghlan seemingly perfect to be the editor of the St. Louis Post-Dispatch editorial page 75 years ago at a time when the newspaper was fighting to help the city rid its terrible air pollution. The editorials had been unrelenting since the campaign had begun last October. A few made the front page, but most were on the editorial page, which in those days looked remarkably different than most newspaper pages of today. The type was normal size but the headlines were no larger, and the page would often have five, six, even eight small editorials. They were unassuming, the exact opposite of Coghlan. Coghlan took over as editoral page editor in St. Louis is January, 1939, just before the smoke campaign began. Some of his battles during the next decade were famous. Once Coghlan’s ire got raised over three old cannons perched on the lawn of the Missouri Capitol in Jefferson City. He thought they were a disgrace and should be scrapped but the Governor at the time disagreed. One day Coghlan was working in his yard, planting locust trees, with the assistance of a tree surgeon, Sidney Stearns. The conversation turned to the cannons and it ended with Stearns agreeing to drive to Jefferson City with a friend and remove the cannons. Delighted, Coghlan said he would pay Stearn’s expenses. That controversy was nothing, however, compared to Coghlan’s troubles at the same time the smoke campaign was waging. The Post-Dispatch had reported that a state legislator had assisted in a bribe of a union leader. Both were arrested and tried before state Judge Thomas Rowe, who ordered that the legislator be released from any charges. The following day a judge in a separate civil action concluded that the union leader had been bribed and ordered him to pay a $10,000 fine. This was too much for Coghlan. The next day his editorial page ran this headline “THESE MEN ARE GUILTY.” The language in the editorial was no less vitriolic. Rowe ordered Coghlan to appear in his court, found him in contempt, fined the newspaper $2,000, Coghlan $200 and ordered him to spend 20 days in jail. Cartoonist Daniel Fitzpatrick was also jailed. The state Supreme Court eventually over-turned the contempt citation. By then Judge Rowe was gone, having been found dead in a hotel room at the Democratic National Convention. Coghlan not only got readers mad, he would often anger fellow staffers and even his boss, Pulitzer. In 1949 Coghlan wound up in what was described in a news story at the time as “a drunken brawl.” Pulitzer stripped Coghlan of his title, but kept him on the payroll, ordering him to work out of Europe. Ralph Coghlan had gotten one too many people mad.